I am very excited to share with you a website called UncommonGoods, where they have really fun trinkets that can be described as, well, "uncommon." UncommonGoods was founded in 1999 in Brooklyn, New York, and offers handcrafted gifts that are unique in design and items you cannot find at a regular, chained department store. I describe UncommonGoods as a "virtual handcraft fair." UncommonGoods provides a platform for artists and designers. The company is committed to sustainability, which is something I value personally. Kudos to them! About one-third of all of their products are made with recycled and/or upcycled materials. They are also a founding B Corporation. According to the Our Story section of their website, "the Certified B Corporation seal means that a company has undergone and passed a comprehensive screening questionnaire, which evaluates areas including company governance, environmental practices, and impacts on the local community." Can you guess what it is? Because I have holiday candy in there, a lot of people guessed it was an open "Santa bag". It is an Unzipped Glass Zipper Bag ($16.50)! 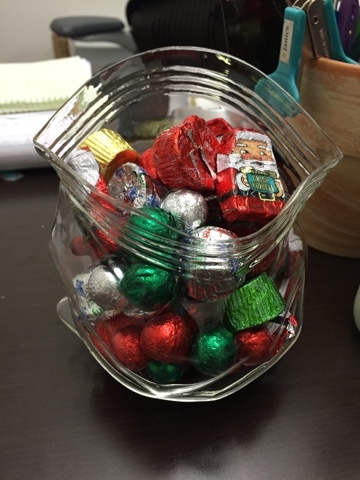 Yup, now I will always have visitors in my office because of the candy. 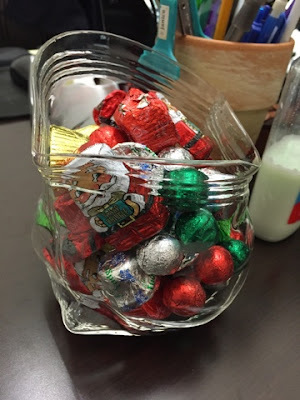 They have all complimented how the candy jar is super cool-looking and have never seen anything like it. 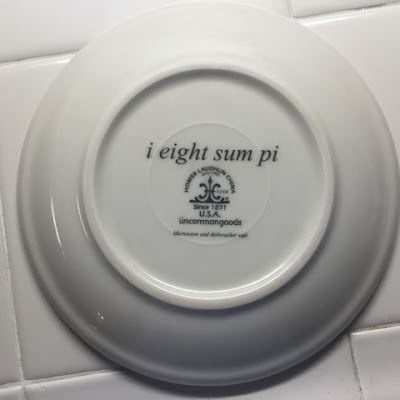 i eight sum pi plates ($35.00). WHAT? These cute little plates are perfect for a little treat, especially for pie. 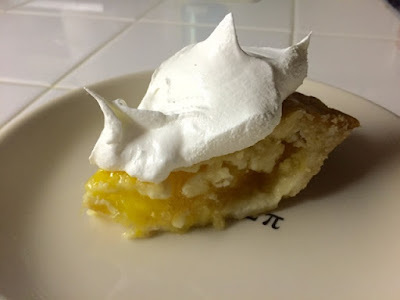 What you do is serve a slice of pie during the holidays and cover up the equation. After your guests finish, they will see the equation! You can have your guests decipher and solve the equation to see who the real 'mathlete' is. Then, they can turn the plate over and see the answer. I LOVE these plates. The set comes with two dessert plates. 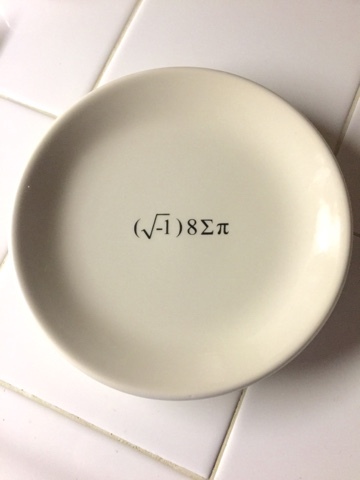 They would make a great gift for your math-loving friends. The final product I tried is 45 Second Omelet Maker ($25.00). The diameter of the dish is only about 5 1/2 inches, so the omelet would be perfect on bagels and English muffins. 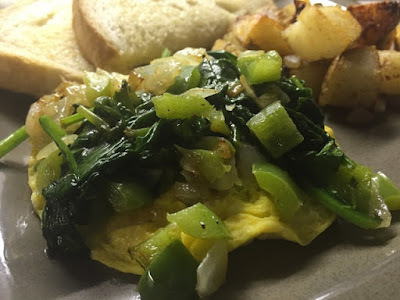 The picture of the UncommonGoods card at the beginning of this blog post is actually a "Maker Story" card for his dish. Tony Holman is a master in pottery skills and creates his pottery masterpieces with functional and decorative shapes. No two pieces are exactly alike since they are hand crafted. So cool. 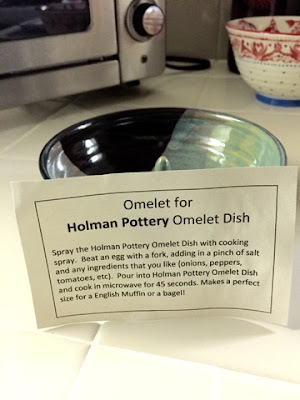 Here are the directions for the omelet dish. 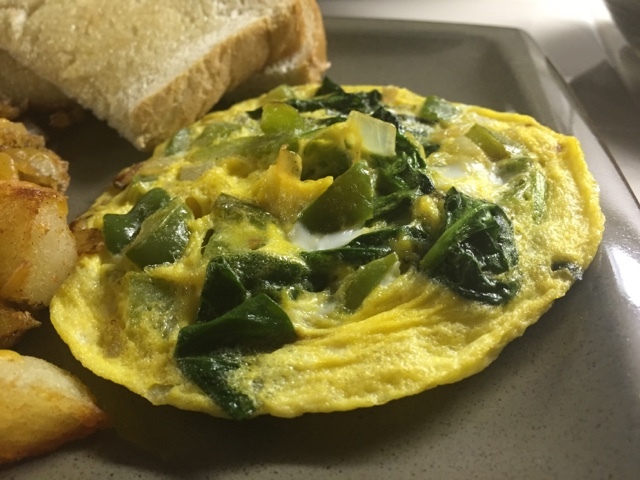 I decided to make it more exciting by making my own omelet creation! 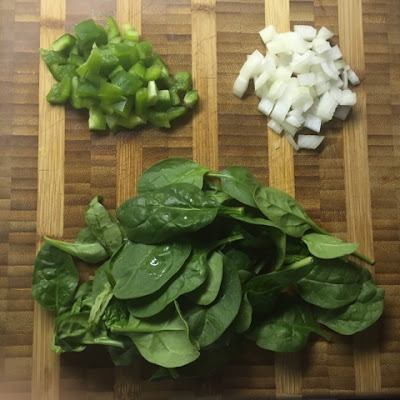 I chopped up green bell pepper, yellow onions, and grabbed a large handful of organic baby spinach leaves. 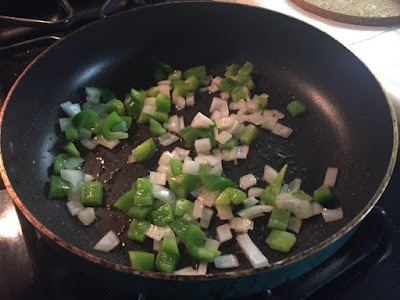 I sauteed the onion and bell pepper in a saute pan with a little canola oil; added salt and pepper. 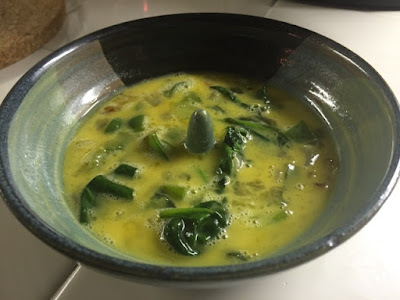 I added the spinach after a few minutes. 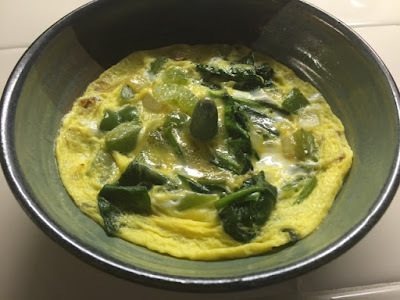 I beat one cage free egg in a small bowl. 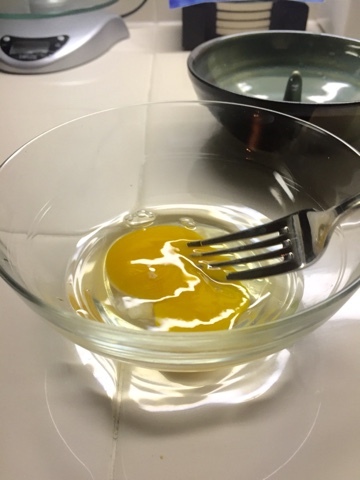 After the vegetables cooled, I added half of it to the bowl with the beaten egg. I sprayed the dish with canola oil spray before I poured the egg mixture into it. Here we go, 45 seconds in the microwave. Ta-da! Nice, huh? Okay, because I think I overdid it with the vegetables (I think they weighed the egg down), that it was not done all the way through. 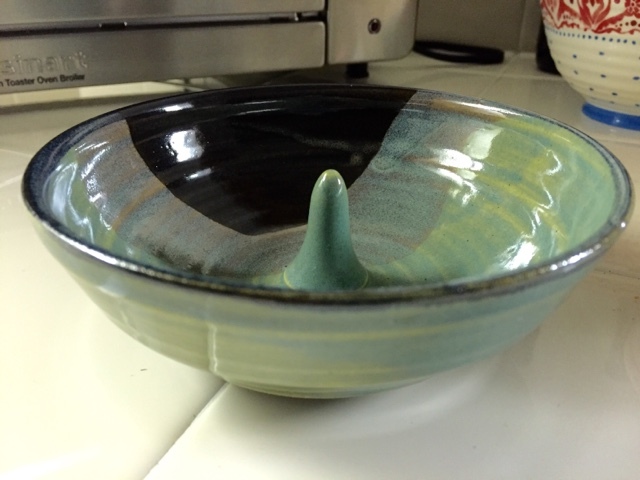 I put the dish in for another 30 seconds and it came out perfect! Note, microwave times will vary. It is all about trial and error. Find the perfect time with your microwave and your ingredients. 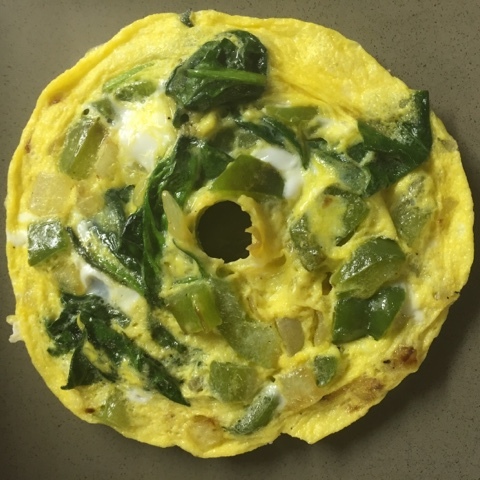 Here is the cooked through egg. Yum! This is definitely BAGEL READY. But, I did not have any bagels (booo), but I did serve it with my crispy potatoes and locally made sourdough. Yum. 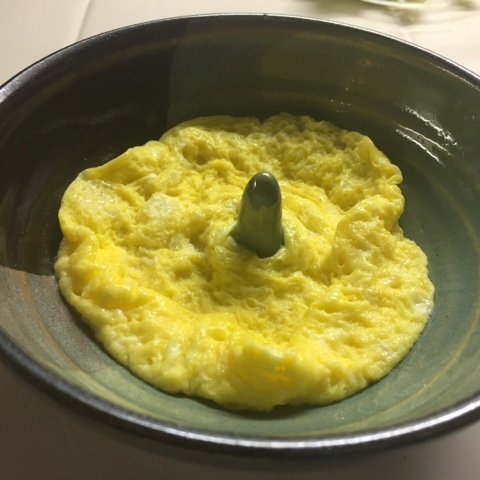 I tested the dish out without any ingredients and just the egg. The dish worked perfectly, cooking the egg. 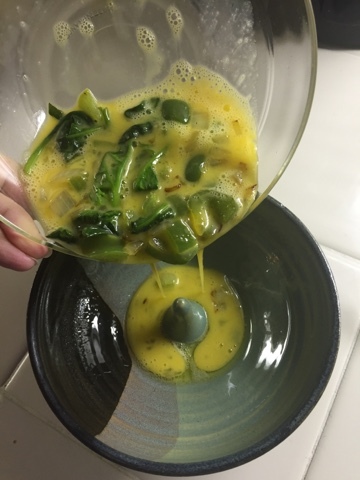 I put the remaining vegetable mixture on top of the perfectly cooked egg. UncommonGoods is a such a wonderful website to purchase special and unique items for your friends and family, especially for the holidays. Browse the website because I guarantee you that you will find something you will love yourself or even love to give to someone. Guess what? It is not too late to purchase for the holidays! Click here to see the 2015 holiday shipping information. 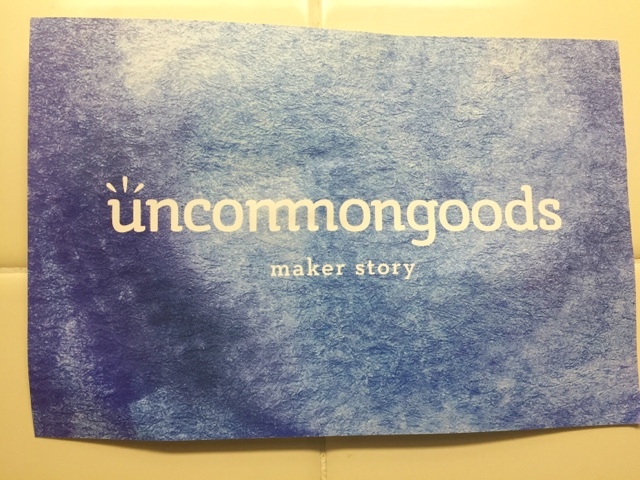 **Disclaimer: I was contacted by UncommonGoods and the items reviewed in this blog post were complimentary. I was not compensated for writing this post. 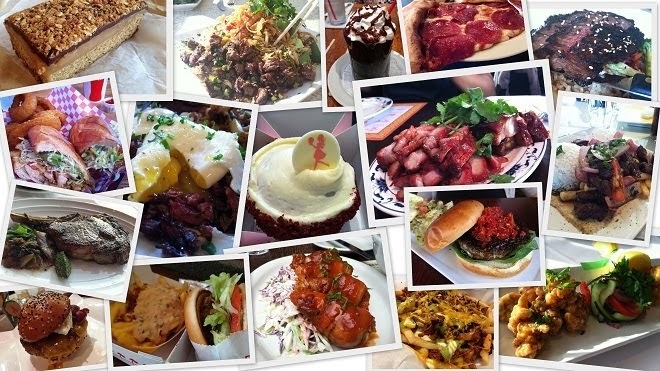 All opinions and reviews written on this blog post are my very own.